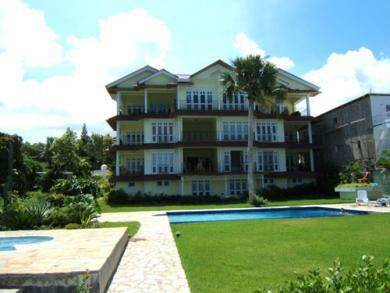 A beautiful 2 bedroom oceanfront apartment with spectacular views of the ocean and Mount Isabela. This spacious apartment is part of an exclusive, well managed complex in a secluded spot next to a pristine beach and only a few minutes walk to the centre of town. Impressive rental history.